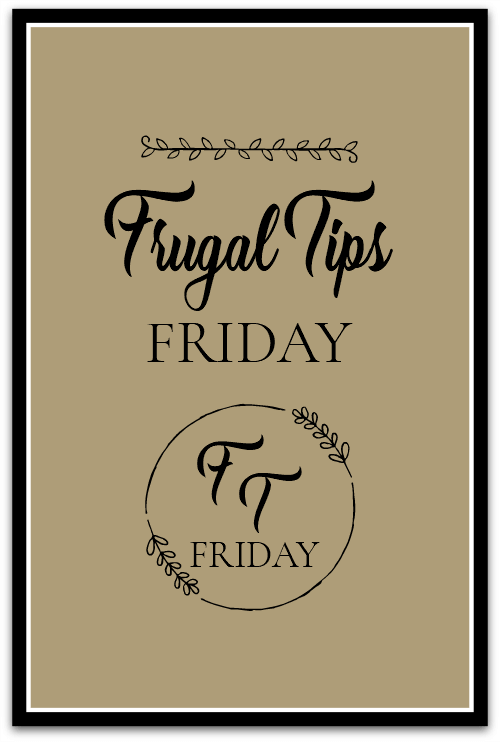 Today is Frugal Tips Friday #2. The first one went over quite well. We will continue trying to help one another live on a budget, and not end up in the poor house. I remember as a child hearing people say that. Oh, we’re going to end up in the poor house. It was a frightening thing to hear. Because I had no earthly idea what a poor house looked like! Oh well, we’re not going there because we’re a community of women whose goal is to help one another live our best lives on a budget. Here’s my first tip on homemade cleaning recipes. I work on my laptop A LOT. So I need to clean the screen. It gets smudges, etc. Once I purchased this little bottle of computer screen cleaner. It only had about four ounces and cost $20! That’s ridiculous. I was using it to clean the TV screens. But since the TVs are in the closet, I’m just left with my laptop and Kindle to clean. So I kept the container and made my own cleaner. Mix 1 part distilled water and 1 part rubbing alcohol in a spray bottle. Spray the liquid on a clean cloth and wipe. That’s it. Two ingredients. I imagine you could use any essential oils. But when people think of furniture polish, they tend to thing of lemon or orange scents. I would recommend writing the amounts of each ingredient on the spray bottle you use for your homemade furniture polish. Either with a Sharpie or written on labels. Here’s a second recipe I found for furniture polish, just for variety. It’s just slightly different. This recipe comes from Mom 4 Real. She explains exactly how to add the ingredients. And she even gives free printable labels for your spray bottles. And my last home cleaning recipe is one I found at One Good Thing By Jillee. She has a wonderful blog full of great ideas. This is something I’ve been wanting to do for some time. Find a recipe for homemade reusable disinfectant wipes. Here’s her link if you’d like to check out her blog. Okay, it’s your turn. Let’s see what you’ve got to share with the rest of us so we can all be frugal homemakers. Note: I have added a Print Friendly button at the bottom of the post for your convenience. If it doesn’t work for you let me know. I don’t have a printer right now. https://www.sunnysimplelife.com/2015/10/how-to-stretch-your-laundry-detergent.html – I used this recipe for ages, back when I used to buy laundry detergent for my daughters to use downstairs. Now I just make my daughter buy her own, ha ha, but this was a great recipe!! I use like amounts of water and white vinegar as a replacement for window cleaner. A great weed killer recipe is one gallon white vinegar, two cups epsom salt, and 1/4 cup Dawn (the original blue variety). This works really well, but I’ve started warming some of the vinegar in the microwave to help the epsom sale dissolve. I then add the rest separately. You can use the above to kill weeds in cracks, but I usually just use boiling water. That’s what I use to clean windows too. Also kill weeds with the boiling water. I use a similar recipe but with regular table salt. Also I don’t heat the water It is as effective as Roundup which we all know is dangerous. It should be sprayed on weeds in the morning after the dew is gone. Great tip! I don’t have stainless steel appliances (I assume that’s what you’re referring to) but it’s a good one! I has a a homemade granite cleaner by OnegoodthingbyJillee, she uses a 16 oz spray bottle and puts in 1/4cup rubbing alcohol, 3 drops of Dawn dish soap and fills the bottle with water. I don’t have granite , but I use it on my whiney laminate counters, appliances etc to get things nice and clean. Drain cleaner (baths, showers, sinks): put 2 tablespoons of bicarbonate of soda into the drain by just spooning it over the hole(s). If you have a removable cover in your shower, just take it out and spoon the bicarb in. Follow this with 1 and a half cups of white vinegar. It will fizz up and over, but should subside a bit. if it does not, just pore a wee bit more vinegar down. Leave 10 minutes, and then wash it down with a tea-kettle of just boiled water (slowly at first and take care). Depending on what your water is like, and what you put down your drains, once a month to once every six weeks should do the trick and guess what? no smell either. I have tried a recipe similar to this and it works great. I tried this recipe and it worked in my bathroom sink. Not so much in the bathtub. Maybe I should have added more as you specify. I fill a spray bottle with equal parts white vinegar and water, add a few tablespoons castile liquid soap or any natural soap, then up to 20 drops essential oils, your choice (lemon, eucalyptus, tea tree, pine etc.). I put one in each bathroom with a roll of paper towels or washable cloth wipes. Shake before using—this is a wonderful cleaner and disinfectant. Thank you, Brenda, for this blog. This is the first time I’ve commented. I have been making my own cleaners for over 20 years now! Well you’re ahead of many of us! I admire that you’ve been doing this so long. Thank you for commenting! So many great tips! I cannot wait to try making my own cleaner! P.S. I sent you an email. Good to know that fleas don’t survive Borax. I’ve tried growing lavender but it always dies on me. Do you add this to water or use dry?? Dry. I make each cleaner in separate shaker jars. The rug one just sprinkle down let sit and vacuum up. The cleanser one I apply to damp surface. There are lots of tips on google. One is frugalgirl.com. I also get Hometalk emails every day which has these tips too. Will check her out. I also check out Hometalk on Pinterest. I remember my parents talking about going to the “Poor House” and it scared me to death! I thought it was a place we would have to go to live. The most frugal cleaning products I use are various combinations of baking soda and vinegar, both separate and together. As others have said there is SO much you can do with these and they are much safer than other products. To save money I buy vinegar by the gallon and I buy baking soda in a large bag in the discount stores. If you have trouble finding large containers of baking soda (it is much cheaper that way) try looking where pool chemicals are sold and you will find it. I use the shaker container that parmesan cheese came in to hold baking soda at my kitchen sink. It makes it easy to shake on to clean the sink, dishes or anything else. Plus did you know you can put out a kitchen fire with baking soda! Great tip! I only see small boxes of baking soda. One of my son’s teachers suggested I add roughly a cup of baking soda to each wash (along with regular detergent) to help with the “extra” smells that kids playing in athletics seem to bring home in their sports clothes. So I too always looked for the large bags you could usually find along with the pool supplies. It really did seem to help and the big bags were cheaper and lasted longer. This isn’t a homemade cleaning/polishing product but one I buy in a store. A little goes a long way. It’s Barkeeper’s Friend! It keeps my 49 year old stainless steel pots and pans and lots of other things in my house spotless! Yes, my pots and pans are that old – I bought a set in 1969 before I graduated from high school and they’ve been with me every since! I use BF for polishing solid brass pieces (don’t use on brass plated items), for keeping my stainless steel sinks clean, for cleaning my bathtub and other bathroom fixtures and cleaning the top of my electric smooth top stove. It doesn’t scratch surfaces when used with a non-scratch pad or cloth, and has eliminated the need to buy other products for jobs that vinegar and water just won’t tackle. I’ve heard that is wonderful! Well I hadn’t thought of that. Your recipe for computer screen cleaner is the same one an optician gave me to clean my glasses. They need cleaning often! Boil 1 cup boiling water in the microwave. Add to a glass container; I use a glass Pyrex measuring cup (3 cup size). Add 1 tablespoon of baking soda, 1 tablespoon of salt and a small square of aluminum foil. You can dip or let it soak until it is clean. I follow up with washing with soap and water. I use either straight-up vinegar in a spray bottle or diluted a bit with water to clean kitchen counter tops, bathroom sinks and vanities, and bath tubs. When my daughter was small, I didn’t want to use the scary chemicals to keep the bathroom clean that she came in contact with. Vinegar is a great disinfectant. To soften the water and deep clean your clothes, pour ¼ to a full cup in your wash. Use it along with your laundry soap. Now, if I could just find a good homemade cleaner for the oven. Thanks for the topic, Brenda! I left a comment but it didn’t take. ???? Hm. Well, two of your comments came through. I don’t know what’s going on. Sorry! Eye glass cleaner: Your recipe for computer screen cleaner is the same one an optician gave me to clean my glasses. They need cleaning often! Silver jewelry cleaner: I wear a lot of silver jewelry and they do tarnish. Use this to remove the tarnish and clean. Boil 1 cup boiling water in the microwave. Add to a glass container; I use a glass Pyrex measuring cup (3 cup size). Add 1 tablespoon of baking soda, 1 tablespoon of salt and a small square of aluminum foil. You can dip or let it soak until it is clean. I follow up with washing with soap and water. For your laundry, pour ¼ to a full cup in your wash to soften the water and deep clean your clothes. Use it along with your laundry soap. Now, if I could just find a good homemade cleaner for the oven. Thanks for the topic, Brenda! This may not belong here, so remove if you need to. Mix together and apply weekly. I put about a tablespoon in most pot plants and up to a cup on one of my large pots of tomatoes. I like all these natural cleaning tips, thank you! They don’t like the fragrance. I use water, white vinegar and tea tree oil to clean my kitchen/bathroom counters and to mop my floors. I also use white vinegar to kill weeds. Baking soda is good to scrub my kitchen sink. Sometimes I spray some bleach (Clorox) into the sink to eliminate stains. It’s a porcelain-type sink and getting old so stains easily. And of course I use vinegar, water and a bit of dish soap for mirrors as well as windows and eyeglasses. I haven’t bought cleaning products other than the ingredients listed above for years. Oh, one other thing I use white vinegar for is fabric softener. I just pour it in like you would a liquid fabric softener from the store and I use nothing except tennis balls in the dryer. I really dislike the strong smells of dryer sheets. All of these home made cleaning products are so much healthier, not only for our pocket-books but our bodies, as well. I’m happy to learn that so many of us are using natural products rather than buying toxic and expensive cleaning supplies from the store. I’ve used this idea for cleaning oil stains out of clothes. I found it on Pinterest and it truly works. You need two products blue Dawn and hydrogen peroxide. Work a little blue Dawn over the stain on clothing and then spray with the hydrogen peroxide. Throw it in the washer and voila most grease stains say from a bit of pizza hitting a blouse or slacks and this combination gets it out. The hydrogen peroxide works as an activator. I bought a small bottle of hydrogen peroxide in a spray bottle and just refill it from an economical big bottle. Do the same with a small bottle of blue Dawn and keep these handy near my clothes washer. Saved so many t shirts I thought would no longer be useable. I’ve also stopped buying so much in paper products esp paper towels. I use cloth wash cloths and cloth towels. I simply run them in the wash and reuse. Some may say it’s not as sanitary but it worked for my grandmother, my mother and for me so we seem to be winning against the germs in that the family goes on and creates less waste and saves more money. Bounce dryer sheets: cut them into thirds, use one for each load of laundry. Laundry detergent: directions say “fill the cup to this point.” I put a 1/4″ in the machine and it works just fine. Poor House: I grew up within walking distance of a real poor house. Of course it was no longer in use, in fact it was vacant. It was a very large two-story house on a good bit of land. Mama told me that back in the day (probably depression era) homeless people lived there. I felt anxious when we drove past it, being vacant made it seem even more scary. Eventually someone bought the place, fixed up the house and lived in it. When the county got around to giving our rural roads names (instead of the route numbers which we’d always used), of couse they named that “Poor House Road.” You’d have to have a good sense of humor to live on that! These are some great cleaners…especially the one to clean computer and TV screens. I refuse to pay for those cleaners in the store because they are so expensive and I’m afraid to use just anything on the screens! I will check out the other sites as well. Thanks so much Brenda! Love and hugs! I don’t use dryer sheets in the dryer. I’m allergic to them. But what I do use the cheap ones for is to polish the faucets. It shines them up & prevents water spotting for a long time. Another thing I do with them is after cleaning baseboards run the dryer. Sheet over it. It repels dust & grime. Really works! Vinegar is truly a miracle product. A friend many years ago cleaned at a hospital. She said when they cleaned a room–surgery especially–if they didn’t pass the sterile test the only thing that worked was to go back with vinegar and it was passed. Second, my granddaughter plays lacrosse and is the goalie, so she has a lot of equipment that really isn’t easily cleanable. Her coach suggested hanging it all in the shower when she used it and letting it hang there to dry. I suggested before she did that she spray it all down good with strongly mixed vinegar water. It did the trick.